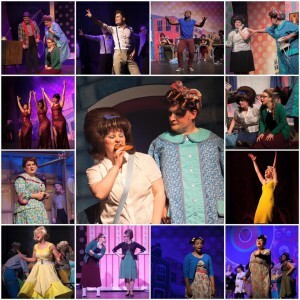 With this review I shall start with a confession….I love Hairspray. I think it is a brilliant musical that has everything – great music, upbeat songs with a brilliant moral. I love it so much that directed the musical for Bromley Players. After my review of Cygnet Players’ production of the Full Monty they invited me along to review their production of Hairspray. Cygnet Players did not disappoint and did Hairspray justice. The show was well thought out, slick and made for a thoroughly enjoyable evening. Hairspray can be a difficult show to cast as not only does it require triple threats in many of the principle parts but a huge amount of Hairspray is about appearance, whether this is weight or race so the casting must fit in with this. Cygnet Players’ production was well cast and all of the principles fitted their roles well. The huge part of Tracy Turnblad was played by Melissa Cox. The role of Tracy is a huge role for anyone to play let alone in an amateur show and requires a triple threat. Her performance was very assured and the show felt safe in her hands. She also understood the comedy in this role brilliantly and the way she threw herself over Link for the earlier part of the show, in particular for ‘It Takes Two,’ were some of the highlights of the show. Playing opposite Melissa Cox in the role of Link Larkin was Jeremy Roberts. He had an absolutely perfect look for this role and the way he held himself with his constant pruning and posing added to this. Another part I must single out is Velma Von Tussle played by Cassie Pearson. Every action was perfect for the over the top stage mother and she had a strong voice and carried off Miss Baltimore Crabs brilliantly. It is difficult for me to continue to single out individual performers as there are so many great parts and performances although I must add that the 3 Dynamites played by Grace Fernandez, Biance Lloyd-King and Nicole Seymour were perfectly cast. They looked and sounded brilliant together and their sequinned red dresses added to this effect. Some of the accents of the cast did wonder occasionally, in particular for Corny Collins played by Jaco Botha and at times some of the dialogue needed to be slowed down to ensure that the comedy was not lost. All of the ensemble as well were well drilled and there was a great sound when they all sang together. There was also some nice movements of movement/dance and numbers such as the Madison was well performed and well drilled. The director has a great attention to detail although I did wonder why they chose to add additional white ensemble members to numbers at the Record Shop, in particular during ‘I Know Where I’ve Been.’ This is a song about Motormouth’s journey and the difficulties that she has faced, one that I therefore find disingenuous to have white ensemble members singing about. 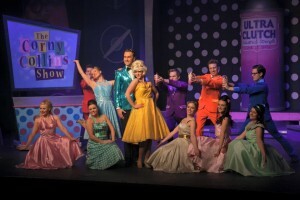 The set was perfect for the production, bright and colourful as well as practical by ensuring that the scene changes were as easy as possible and allowed for the show to continue flowing. A nod of recognition must however be passed to the stage manager and stage crew as I appreciate how little rehearsal time you get with the set in amateur productions and this can often lead to long or clunky scene changes . This was certainty not the case for Cygnet Players’ production of Hairspray and I hardly noticed the crew and all scene changes were very efficient. 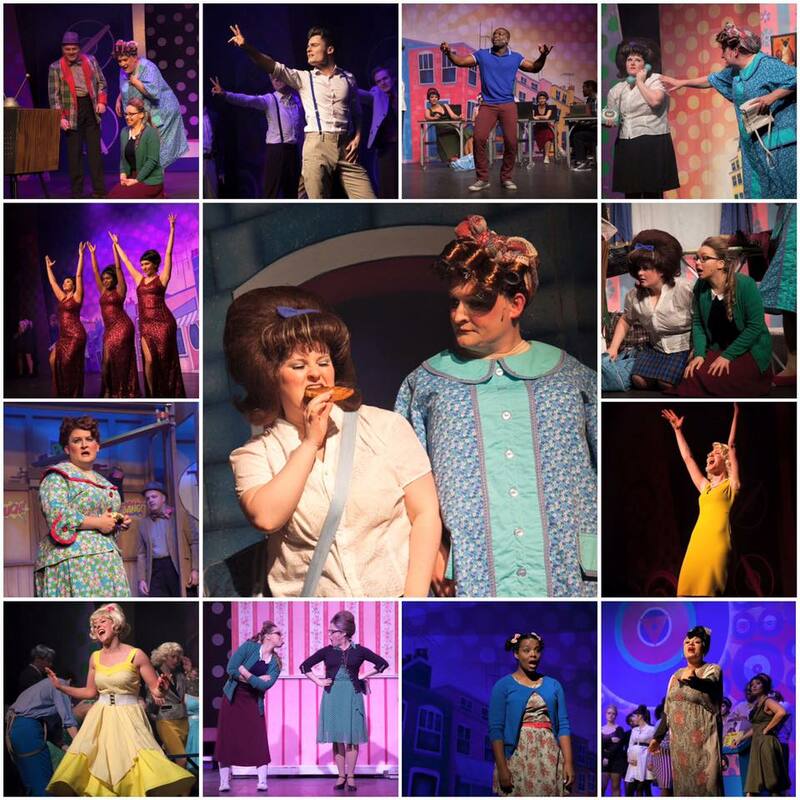 I was thoroughly impressed by Cygnet Players and at the high standard they achieved for their production of Hairspray. I’m keen to see their next show, especially if it is an enjoyable and at such a high standard as this one. To find out more about Cygnet players click here.